The rise in youth unemployment in Canada during the recent recession will cost Canadian youth $23.1 billion in lost wages over the next 18 years, according to a new report by TD Economics. The unemployment rate for Canadians aged 15-24 was 11 per cent in July of 2008, peaking at 16.4 per cent in July of 2009. In the past three years, it has yet to fully recover, still sitting at 14.1 per cent in December of 2012. This stubbornly high unemployment rate will have a big impact on both young Canadians' current wages, as well as their wages in the future. High unemployment has meant lost wages due to fewer young people working, which the report says has taken $10.7 billion out of young Canadians' paycheques. On Thursday, CBC Doc Zone presents Generation Jobless, a documentary that delves into the reasons why so many young Canadians are overeducated and underemployed. Visit CBC Doc Zone's website for interactive graphics, bonus video and more. According to the report's author, senior economist Martin Schwerdtfeger, another significant impact is what's known as 'wage scarring'. "Being unemployed at a young age can have a long-lasting impact on an individual's career prospects," Schwerdtfeger writes. "A period of unemployment at the time of entry into the labour market is associated with persistently lower wages." This 'wage scarring' will strip the equivalent of $12.4 billion dollars from future earnings for Canadians who entered the workforce during the recession," he said. While $23.1 billion in lost wages is a significant amount of lost income, it works out to just 1.3 per cent of Canada's 2012 gross domestic product. In Europe, the problem is much worse, especially in the south. The unemployment rate for Europeans aged 15 to 24 is 24.4 per cent, and is above 50 per cent in Spain and Greece specifically. 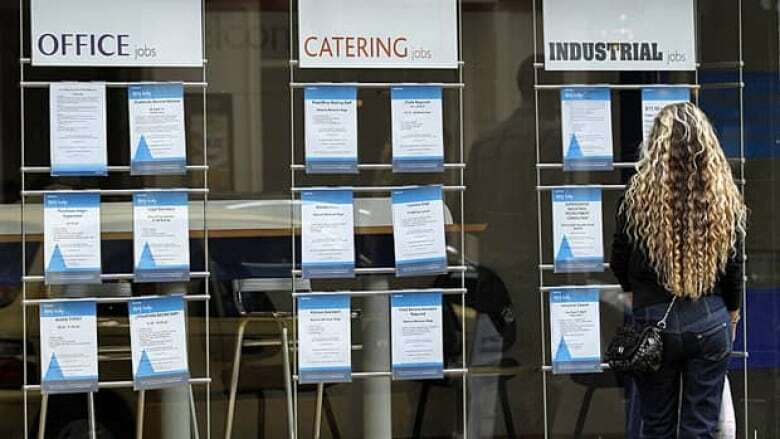 Between lost wages due to unemployment and 'scarring', Ireland's youth will lose the equivalent of 12.4 per cent of the country's 2012 GDP. In Spain, that figure will be 8.6 per cent, the report notes. The report cautions that the economic impact is not just limited to lost wages, but also includes lost production by those workers unable to find work as well as increased crime rates. Plus, those lost wages would otherwise be pumped back into the economy.